If you have a child who wants to compete in sports – good luck. The latest rage these days just might make it all but impossible for your child to take home 1stplace, and it’s getting worse than anyone imagined. And in one local school, two “transgender” athletes stole something away from a high-school girl she can never get back. Sparking a national outrage, parents are outraged and speaking up hoping to stop this new trend from fully taking root. Imagine your high-school daughter training for a cross country competition. She’s the best. She’s dedicated her time to putting in the hard work to train. But instead of winning 1st place as she rightfully deserves, a “transgender” sweeps in and steals the show. Last year, Mommy Underground reported on these two “transgender” athletes winning the competition. And believe it or not this actually happened again. 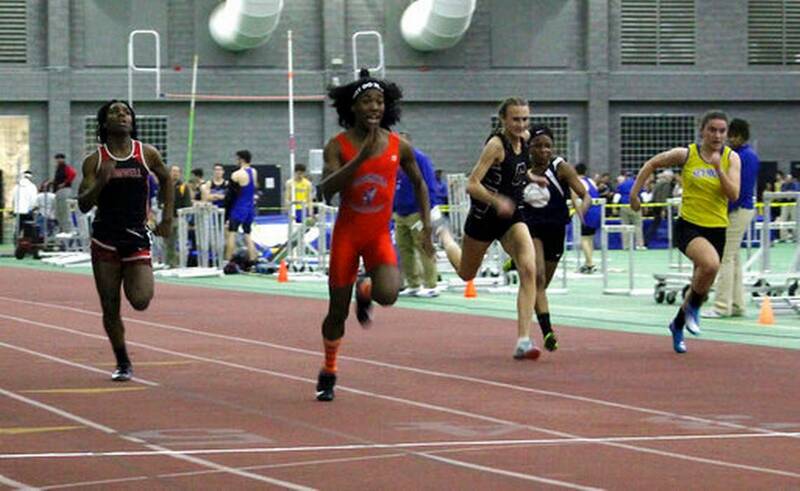 During an indoor track meet, two men decided they were females and decided to compete in the indoor track championships. And as it turns out their victory prohibited the third-place winner (who would have won first-place had it not been for the “transgender” athletes) from qualifying for the New England regionals. In fact, this could even hurt her chances for a college scholarship. And now, Selina Soule who lost to the two “transgenders” is speaking out. “Soule believes that had Miller and Yearwood not run, she would be on her way to race in Boston in front of more college coaches. “We all know the outcome of the race before it even starts; it’s demoralizing,” she said. “I fully support and am happy for these athletes for being true to themselves. They should have the right to express themselves in school, but athletics have always had extra rules to keep the competition fair. But the even harsher reality is schools are now completely controlled by the LGBT agenda. From “transgender” locker rooms (even being hid from parents) including co-ed shower areas in schools, the madness doesn’t seem to stop. What’s to stop an entire group of men from suddenly deciding they are “women” and taking over female sports? The physical bodies of men and women are different. This doesn’t make women less by any means, but the physical makeup of men and women are different. A high-school girl shouldn’t have to feel demoralized for consistently losing because men are taking over the women only competition. But everywhere, it seems schools are more interested in protecting the LGBT agenda over the rest of the student population. And sadly, it doesn’t look like the trend is slowing down anytime soon. If your children are interested in playing sports, make sure you find out the policies of your school.